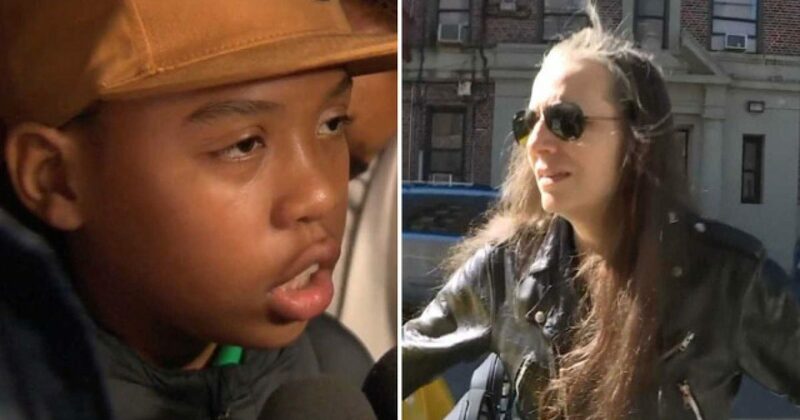 A nine-year-old boy who was recently falsely accused of sexually assaulting a New York woman last week has a very brutal message for his accuser and to be honest, it’s not pretty. Teresa Klein, the accuser, found herself in hot water after claiming that Jeremiah Harvey grabbed her backside at a Sahara Deli Market in Brooklyn and called the police, making a huge scene outside the establishment. There is significant doubt about whether Klein called the police or not. “I was standing at the counter, and I was sexually assaulted,” Klein told a local media outlet after the incident. Jason Littlejohn, a Flatbush resident, caught the whole incident on video and claims the police never showed up and questions whether or not Klein actually phoned them to begin with. Littlejohn stated that it was gut-wrenching watching Harvey crying and distraught like that over these accusations, believing that Klein doesn’t really understand the gravity of what her false accusations have done to the child.